SINN FÉIN MP for Newry and South Armagh, Conor Murphy has called for the harmonisation of taxation and pricing policies on the island of Ireland following the recent drop in VAT and the higher prices customers in the South are paying for goods. “The recent debate surrounding the benefits to the Northern economy, drawing customers from the south, is missing an essential point. The main point is that these trends of one side of the border benefiting while the other declines economically is set to continue as long as we have a duplication in our economies. “What we currently have is a see-saw of trade with counties on one side of the border benefiting while the others suffer. 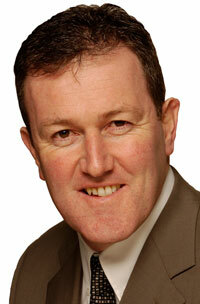 We will see the likes of Newry benefiting due to lower prices and now the reduction in the VAT rate to 15%. “The other side of the coin was that as sterling was significantly stronger than the Euro the 26 counties benefited from trade from the north. What we need to ask is, is this sustainable and how is it affecting long term economic growth, especially for those in the border corridor? “Since the emergence of the Peace Process and the creation of a new political dispensation a number of eminent economists and leaders of the business community such as Sir George Quigley, Chairperson of Shortts Plc and Alan Gillespie, Chair of the Ulster Bank Group have endorsed the all-island economy as the way forward. “This is clearly the only sensible way forward. Continuous fluctuations between the two economies are of no strategic benefit to anyone. What we should now be doing is examining ways of cross border co-operation and the establishment of an all Ireland focused economy. An example of this is the way Newry Council and Dundalk are already working closely together to the local economies benefit.